Wastewater Storage Tanks | Modutank Inc.
Wastewater; a byproduct of drains and toilets from schools, homes, businesses and factories flow into sewer systems, on a daily non-stop basis. Other major producers of wastewater are rainwater, melting snow, water from street and sidewalk cleaning, as well as other runoffs flow through combined sewer systems destined for the city’s wastewater treatment plants. Runoff water from operational and closed landfills is another source of wastewater. The amount of leachate produced by landfills varies with weather conditions. Dry days produce the smallest flow rate. Rainy days produce the highest amounts of runoff when rainwater combines with leachate. Dissolved organic matter, inorganic macro compounds, heavy metals and xenobiotic compounds are the four main groups of contaminates generally found in leachate runoff. These toxic compounds are generally collected at the site in tanks for treatment. Wastewater from municipal, industrial sites, landfills, agricultural pesticides and other sources cannot be indiscriminately discharged into the environment where they can pollute bodies of water or soil and generate air pollution. Preliminary treatment, primary treatment, secondary treatment, tertiary treatment and disinfection-the typical treatment procedures all require holding tanks. Modutank inc. offers a wide variety of bolted tank systems applicable to wastewater treatment. 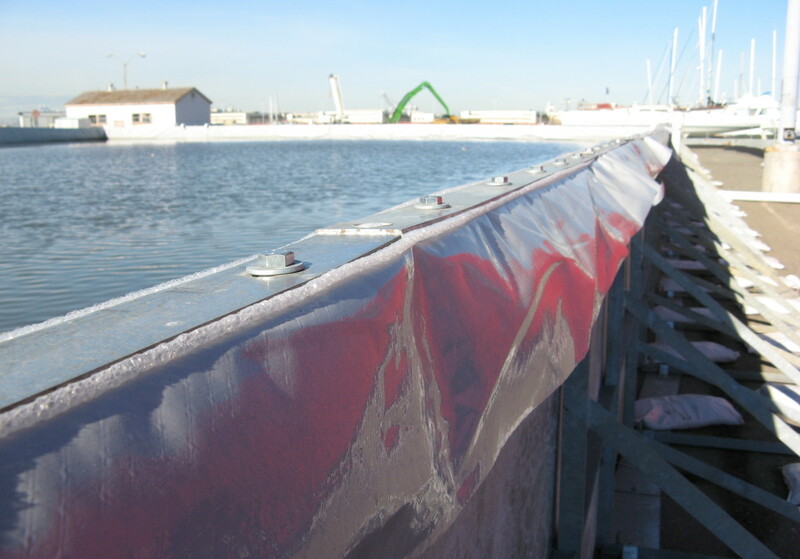 Our Econotanks have been used for sludge thickening and digestion tanks. 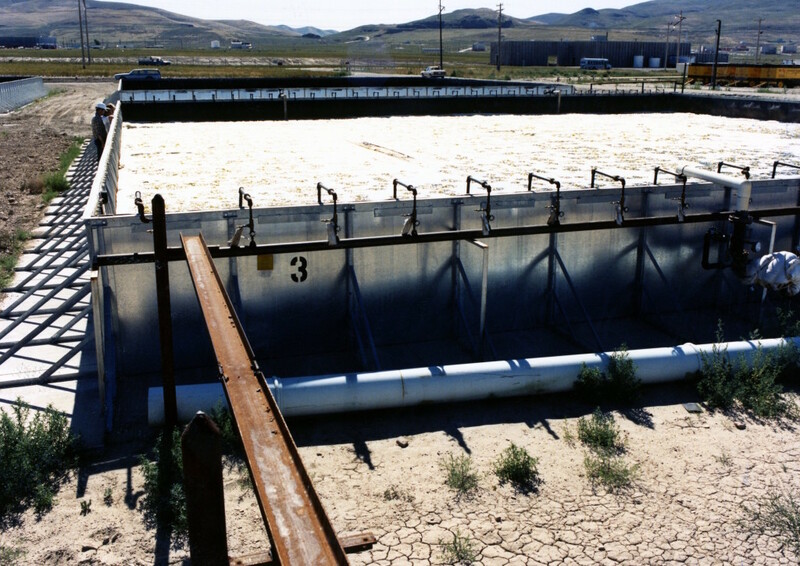 Modutanks as well as Econotanks are excellent choices for landfill runoff water. The smaller Varitank is the choice for indoor locations for storing liquid alum as an example. 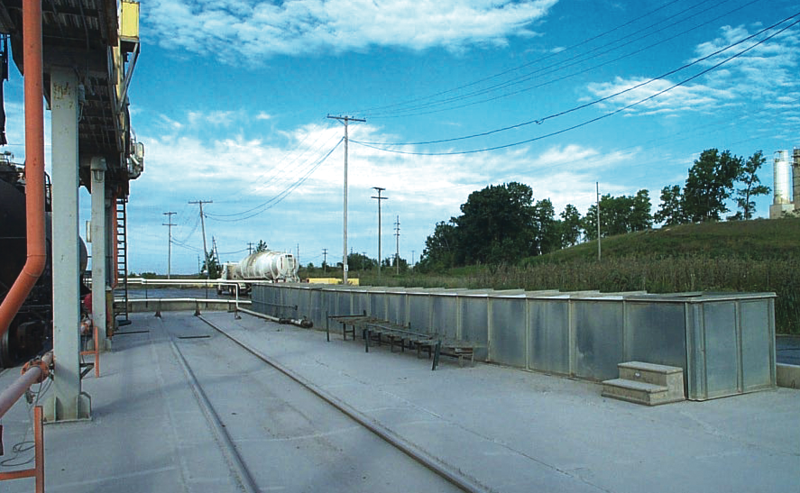 Since 1970, Modutank Inc. has offered a selection of storage tanks and secondary containment systems suitable for most waste water. Composed of modular steel parts and fitted with various liner materials, our tanks feature rapid bolt-together assembly with hand tools. These waste water storage tanks can be installed free- standing on level, compacted surfaces or permanently anchor-bolted to concrete footings. Modularity assures a wide range of sizes and capacities. Furthermore, our flat panel tanks can be configured in square, rectangular or special shapes for irregular sites. Floating covers, steel covers, double liners, inlet and outlet fittings, leak detection, drains, vents and other ancillaries are available. For more information about this solution as well as our other products, call us at (800) 245-6964 or complete our online contact form today! Click on the link below to get started.